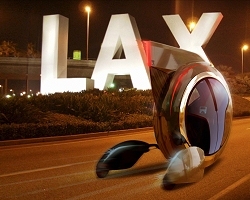 We love the annual LA Design Challenge that runs alongside the LA Auto Show. Here are the 2009 contenders. 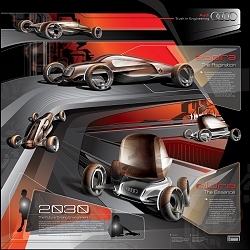 The challenge being set for car designers at the 2009 Los Angeles Auto Show is to come up with ideas for young drivers in 2030. 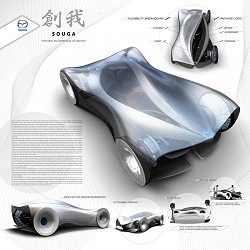 Designers will have to think not only of how the car will develop and change during the next 20 years, but also how a new generation of 16- to 23-year old drivers will interact with their cars via mobile phones and the internet. To reflect this, this year's contest has been named Design Challenge Youthmobile 2030. The Design Challenge is part of the Design Los Angeles conference that runs alongside the LA Auto Show and aims to promote creativity and help predict new trends. Among the panellists who will judge the designs in this year's Challenge will be Ian Callum - director of design at Jaguar Cars - and Franz von Holzhausen, senior designer at Tesla Motors. Surrounded by 14 permanent design studios from major car makers including BMW, Ford, Honda and Volkswagen, the Los Angeles Design Challenge is one of the most prestigious design competitions in the world. The Design Challenge is open to designers from any car company or studio and is now in its sixth year. Previous winners include Mazda in 2008 with its Kaan design for an electric motor racing car that features electronic tyres. Volkswagen scooped the 2007 award with its Slipstream car that uses artificial intelligence to adapt to its surroundings, while Hummer won in 2006 with a design that turns carbon dioxide into pure oxygen. More than 500 designers attended the Design Los Angeles conference in 2008 and more are expected this year. The winner of the Design Challenge Youthmobile 2030 competition will be announced at the end of the LA Auto Show, which runs from 4-13 December at the Los Angeles Convention Center. You can read about the six entrants by clicking on the links to the left.